Let’s focus on if-match clauses now and matching order between them. With logic AND relationship between multiple matching rules. Notice that traffic behavior is applied for the packets that match any one of the if-match clauses. In this situation, packet is matched against If-match clauses, in the order of the If-match clauses configuration. This kind of traffic classifier is commonly used. 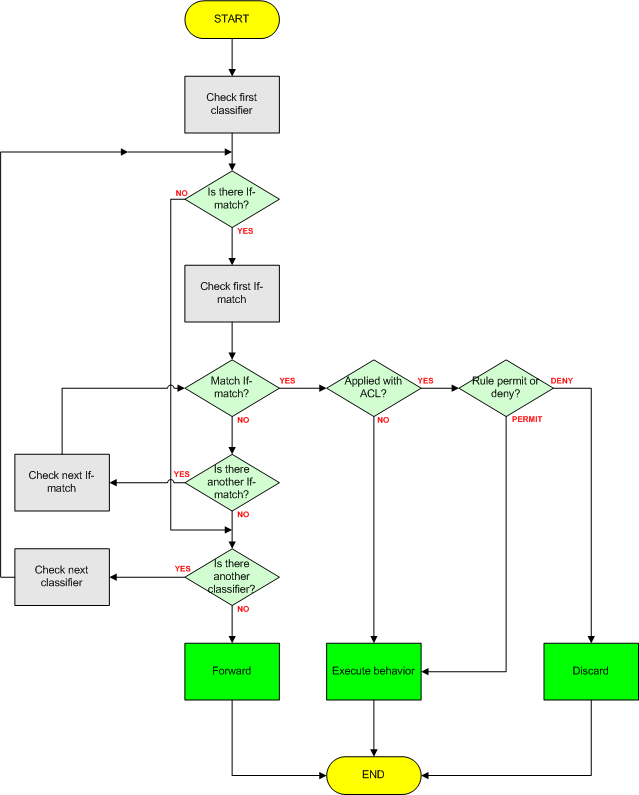 In logic AND implementation, the device combines all if-match clauses and then processes the combination of if-match clauses according to the procedure of logic OR. If one of the if-match clauses is applied with ACL, each rule of the ACL is combined with all of the other if-match clauses. In this situation, the order of if-match clauses does not impact on the final matching result. As you know, one or more classifiers and behaviors can be configured in a traffic policy. A packet is matched against traffic classifiers in the order, in which those classifiers have been configured. If the packet matches a traffic classifier, no further match operation is performed. If not, the packet is matched against the following traffic classifiers one by one. If the packet does not match traffic classifiers at all, the packet is forwarded with no traffic policy executed. other packets are forwarded directly. I have a home task for you. Try to configure the same policy but using logic AND. Your traffic policy must do the same like the one configured. I will publish the solution soon on Facebook. All comments (solutions) are welcome.